“Once again Jeff Doles has taken God’s Word and arranged it for easy use for prayer, confession and personal encouragement. 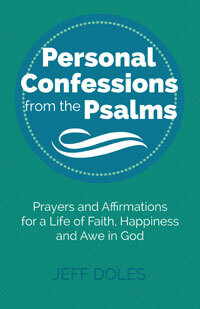 As you use Personal Confessions from the Psalms, don’t just speak them or meditate on them, but allow them to surge into your heart, mind and spirit. I personally have been blessed as I confess, agree with God, that He is not only my happiness but also all my life. You will be blessed, inspired and encouraged as you meditate and hear your own voice proclaim in faith the goodness of God. We are using these confessions as an opening to our weekly corporate prayer meetings. It will strengthen your ‘Faith in God’”!